It’s been more than six months since my PhoenixFD 2.2 review was published. This time, because I am the PhoenixFD nightly tester. I can share with readers my experience in a shorter time. A plug-in that can simulate water, fire, smoke, and render particles, is really an ambitious goal, you can imagine how difficult programming, and design it’s UI. Let’s start with the improvement of the user interface. 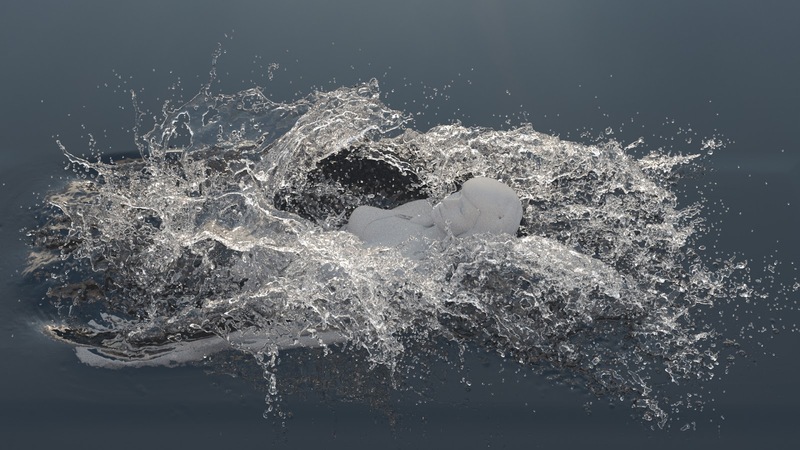 The slogan for PhoenixFD 3 is “Fluid Dynamics for Artists.” Few clicks and you get desired effects, without knowing so many parameters, is the dream comes true for artists. Although it sounds too good to be true, I actually tested it out once I got the official release. The new PhoenixFD Toolbar give you a total of 14 quick settings: Fire, Explosion, Large-scale Smoke, Cigarette Smoke, Candle, Cloud, Tap water, Beer, Honey, Blood Splatter, Paints, Ink in water, Waterfall, and Ocean. I don’t have time to test them all; you may check each example on official help site. So I placed a teapot in the scene casually, with teapot selected then hit the explosion icon, PhoenixFD generates all necessary helpers for me. Then I press the simulation button, in few seconds, I got results that already good. The new GPU Preview displays directly in the viewport. 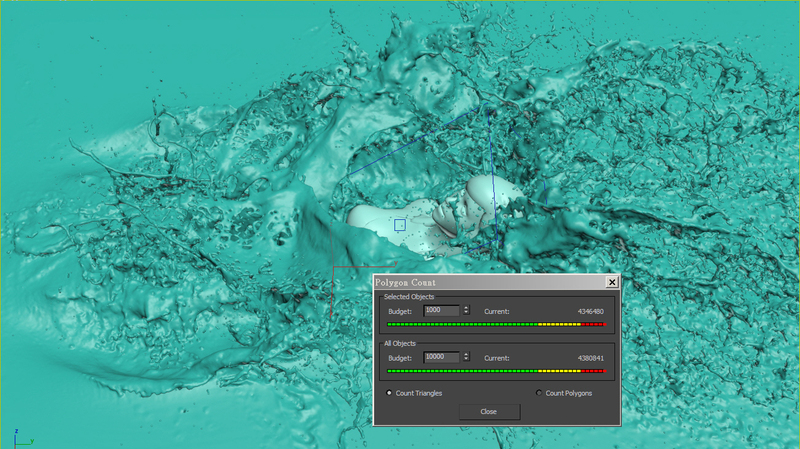 PhoenixFD automatically adjusts the value of the scene scale to ensure a proper simulation. 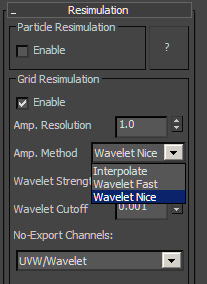 I even use quick presets for my current projects. 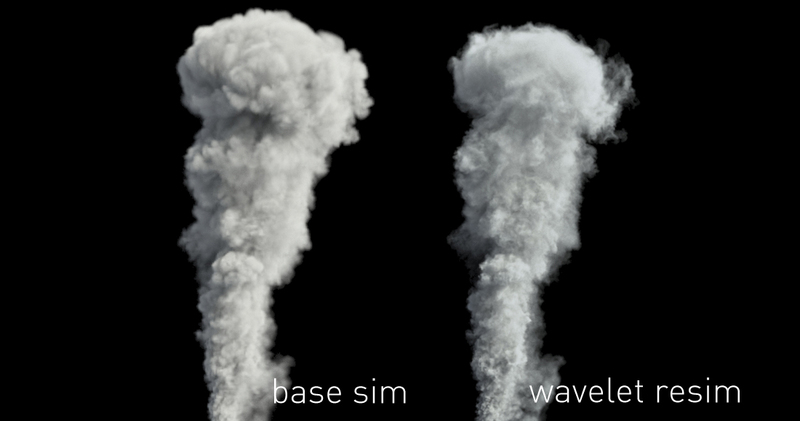 The following example uses “Large-scale Smoke” presets, and the new Massive Vorticity fixing a boiling effect that is present in the classic vorticity algorithm. PhoenixFD simplified it’s simulator user interface by separating liquid and fire/smoke into two simulators – FireSmokeSim and LiquidSim. Since volume conservation is crucial for liquid, therefore removing other conservative methods that making the liquid lose its volume during each iteration, this avoid user’s confusion. For FireSmokeSim, besides three types of conservation methods, added PCG Symmetric. 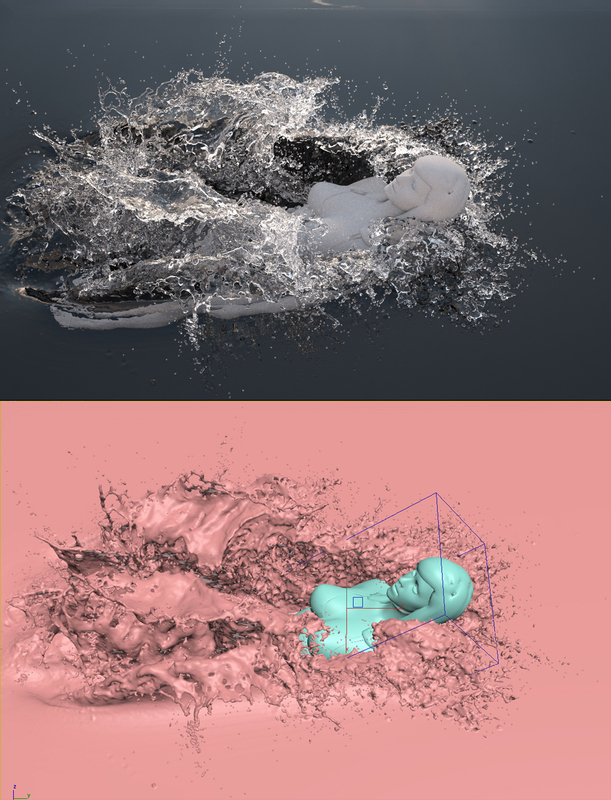 There are two primary methods for fluid simulation. One is to treat fluid as a bunch of particles.This particle-based method is suitable for close-up shots, but it is not very efficient and sometimes unstable. Another is to divide the space into cells, calculate the cell energy transfer between each other, known as the grid-based, one famous example is FumeFX. FLIP is a mixture of these two methods; the new FLIP Solver is stable, predictable, can quickly calculate large scale liquid. With the smoothness, a feature can be used to remove grid artifacts. I am amazed by the performance of PhoenixFD 3 liquid simulator. Even when the grid is set very high resolution, it can simulate within a reasonable time; this detailed fluid mesh can be displayed on the 3dsMax viewport directly. No need for the specialized daemon (i.e., sheeter), you can achieve a natural looking liquid mesh with ease. Grid-based fluids might produce grid artifacts, and the resulting mesh will have a banding look, especially in low-resolution grids. PhoenixFD 3 provides Smoothness control, can remove the banding artifact after simulation. Also, a common problem with liquid mesh is the excessive unwanted details. Too much detail means that when you increase the number of particles or the resolution of the grid, there are too many holes inside of the mesh, and the liquid looks unrealistic. I found with the appropriate time scale and scene scale; you don’t need shetter daemon to make your liquid natural. Most of the time you need to export liquid mesh for your colleagues. 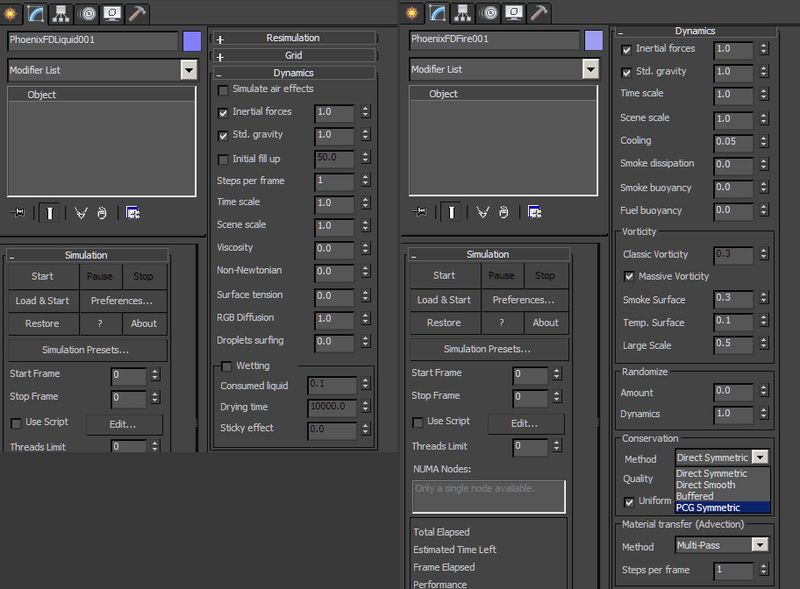 PhoenixFD 3 support 3ds max’s built-in Alembic export. I have exported up to 7Gb fluid mesh in Alembic. The frame rate in Viewport is still fairly good. If liquid represents in the form of a high-resolution 3D model, then the spray composed of lots of holes, which required a ultra-high-resolution 3D model; it is almost impossible to allow any computer to run in a limited time. So Besides liquid mesh, splash, foam and mist particles are added to proximate the phenomenon. The previous version of PhoenixFD only provides Foam and Splash. However, the new version gives you one more – mist particles. 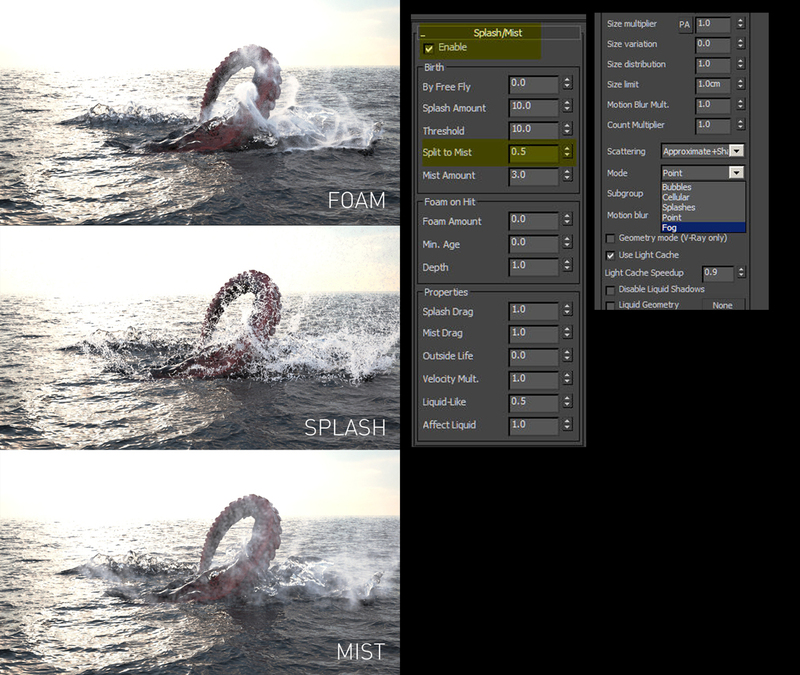 Mist can split from splash during simulation and render out by point shader. The opacity of fire channel was shared with the smoke, when the need for both fire and smoke, sometimes the details of the fire is difficult to show. The new version of PhoenixFD provides a separate opacity for fire – “Use Own Opacity.” New Curve Editor is also easier to use than the previous version. 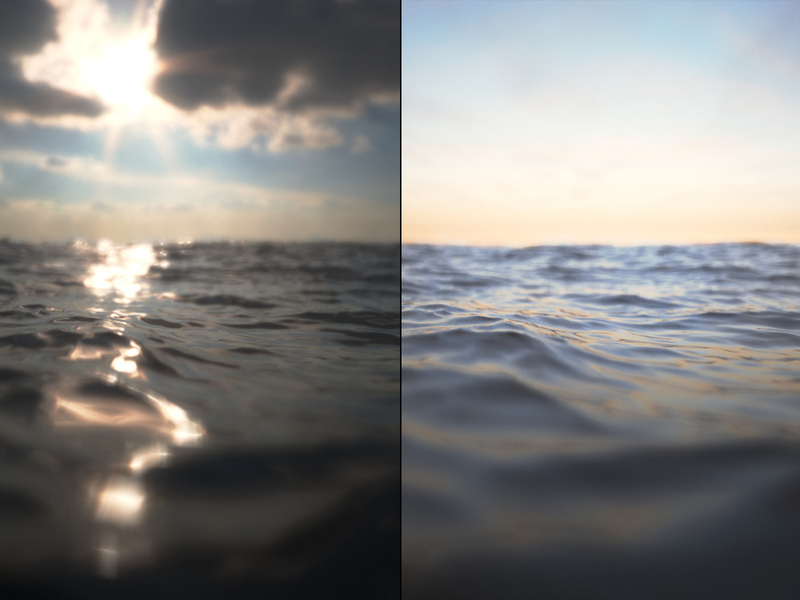 Limited the volumetric render curves between 0 and 1, for example. PhoenixFD 3 provides two ways for dealing with base simulation, one that blurs and has a Threshold that can be used to eliminate noise in low-resolution grids. The other is to resimulate the base simulation and give more details. There are three methods available: Interpolate, Wavelet Fast, Wavelet Nice. When Enable, it automatically switch to the Resimulation cache, unlike FumeFX you have to switch caches manually. Most of the fluid effect required slow motion. Almost all commercial for juice, milk…, etc. have a least one shot in slow motion. For FumeFX, usually, I set my time = 0.7, and further slow down by FumeFX-Post Processing, making the “Time Scale Factor” around 0.25. This can’t be too extreme, otherwise, might produce flickering problem. For those who have experience using FumeFX retiming, might be confused at the beginning. First, PhoenixFD does not need to switch caches, when checked Resimulation, automatically change to resimulation caches. Second, with or without Resimulation, as long as one use of Time Blend function, can produce slow motion effect. The difference is that if you run calculate Resimulation, PhoenixFD will write out cache data. Otherwise, it will retime during render time. I found that same as FumeFX; the speed can not slow down too much, otherwise, might introduce flickering issue. Interestingly, when I slow down the fluid by lower It’s time scale, the effect is surprisingly good. This workflow may be very strange for most FX artists, but intuitive for everyone. Want to slow down the fluid? Just lower the value of Timescale, that’s all! The retiming feature in Realflow known as the Edit Time Function, once you press the retime button will run a calculation to produce a new sequence of cache files, similar to FumeFX Post-Processing. 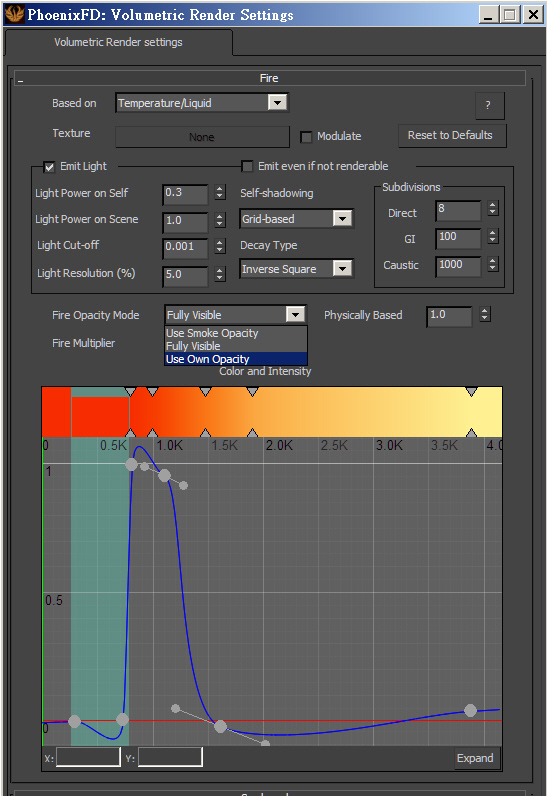 PhoenixFD 3 provides curve editor control, including Linear, cache index and loop, which is very intuitive. Resimulation can base on speed channel or interpolation. This new FLIP solver is very powerful, give you scalable liquid fluid simulation. I have more than five years experience using Realflow; the biggest drawback is the needed for exporting and importing objects between 3dsmax. 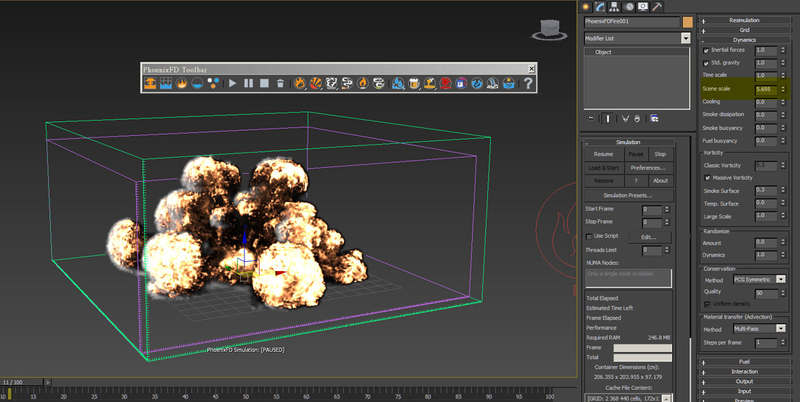 And for rendering foam, spray and fog required a third party plugin (Krakatoa for example). 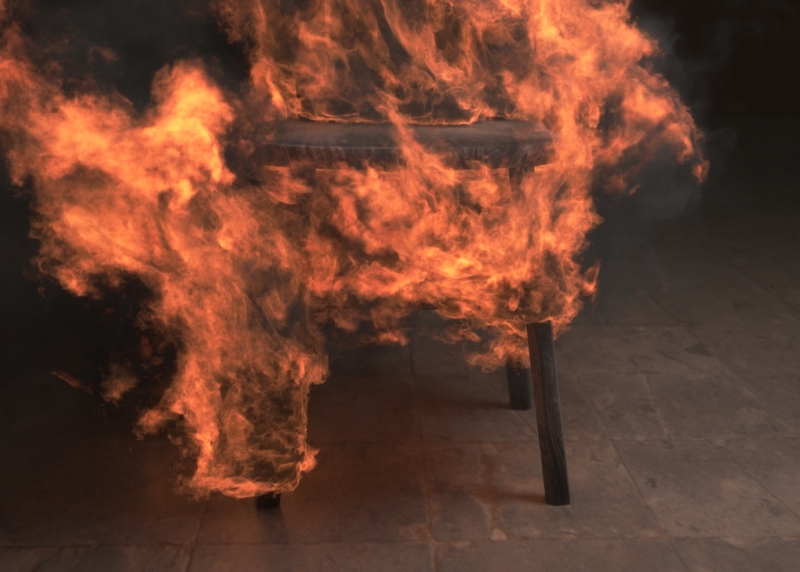 When PhoenixFD introduced the new FLIP Solver, I wanted to migrate my Realflow scenes to 3dsmax – PhoenixFD. Surprisingly, I found that with new FLIP solver, liquid simulation with PhoenixFD is truly production-ready. I spent most of the time playing with this feature. I found even a million face counts per frame, and export a 7Gb of Alembic mesh, still very stable with reasonable playback rate. 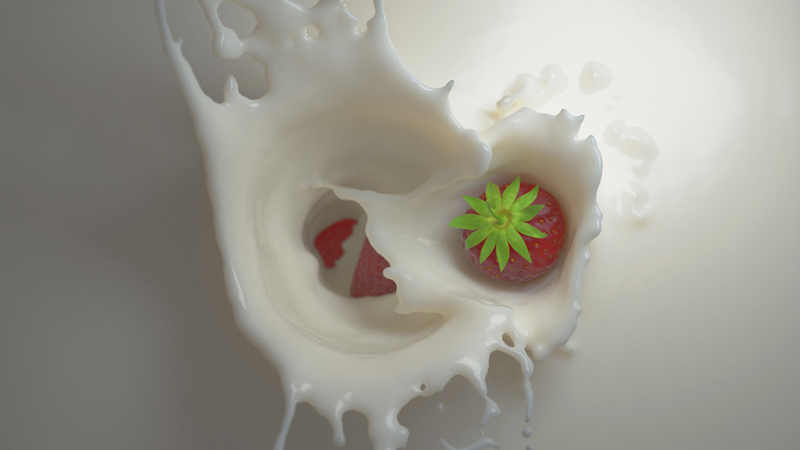 A small scale liquid scene like strawberry drop into a bowl of milk can be easily done. The actual test of PhoenixFD 3 also proved that in the large-scale liquid with highly detailed mesh or large scale explosion can have a stable performance. This plugin gives great results with fire, smoke, as well as water, all for a reasonable price. Overall, the degree of improvement of PhoenixFD 3 is not good news for FumeFX, Realflow, and Krakatoa. It is an FX-plugin that I would highly recommend.